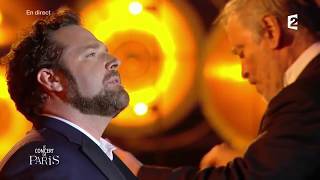 Next month, Bryan Hymel makes two notable debuts in Chicago: In addition to making his debut at the city’s Lyric Opera, the American tenor will also sing the role of Percy in Donizetti’s Anna Bolena for the first time. The first installment of the composer’s famed Tudor trilogy, Anna Bolena places Bryan’s Percy in a central love triangle opposite Sondra Radvanovsky in the title role and John Relyea as Henry VIII. Jamie Barton also stars as Jane Seymour. Performances take place December 6 through January 16.